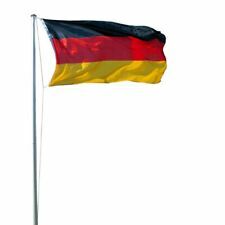 Flagge Bodenhülse Deutschlandfahne. Die lange Bodenhülse mit 60 cm Länge sorgt für einen stabilen Stand. Dies ist völlig ausreichend. Der Fahnenmast wankt daher bei leichteren Winden nicht so stark wie höhere. LEX Fahnenmast 620 cm inkl. Heim & Garten. Tisch- und Taschenrechner. Spiele & Puzzle. Erst wenn unser Kunde zufrieden ist, können wir es auch sein. Batterien sind mit dem Symbol einer durchgekreuzten Mülltonne (s. u.) gekennzeichnet. Alu Fahnenmast 6,20m. 6,20m Fahnenmast aus Aluminium. mit Deutschlandfahne. Deutschlandfahne (150cm x 90cm). Christbaumkugeln - viele Größen und Farben - Weihnachtsbaumkugeln BaumkugelnEUR 7,49-17,95. Wall Mount Bracket. 2 position displays at 45 degree angle or horizontally. Multiple position bracket gives you 11 different positions, fly your flag at any angle. rust free, tough and durable aluminum bracket. Made of high quality aluminum for extra durability. New improved mounting bracket facilitates pole mount. 1ft cable between light housing and solar panel enables neat vertical mount. Important notice: pole is not included. Cast iron light fixture with tempered glass, built for durability and good heat dissipation when used at high power setting. 6 Ft Tangle Free Spinning Flagpole Gold Ball Top( Flagpole Only). Forget about the hassle of taking the pole of just to detangle your flag and enjoy the best view of your flag with our no tangle flag pole. Illuminate your flag at night. Solar powered. Shines brightly at night. Turns on at dusk. Turns off at dawn. Provides up to 8 hours of illumination. No wiring or electricity needed. Energy saver. 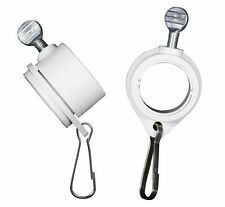 Reminding yourself to open a light at night will be a thing of the past with your new Vont Flag Light. The smart brightness detector automatically switches on the light once the sun has set, and turns the light off once it’s bright enough outside. This is a Solar Lighted PVC Dual Flag Pole Kit. These are handmade in the USA by a United States Army Veteran. You can leave it as is for easy disassembly and reassembly or you can glue your connections together for stronger support. 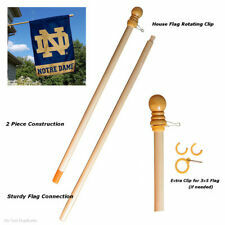 New Plastic Gold Indoor Flag Pole Base Stand. 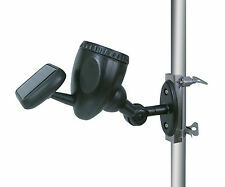 Includes slip adapter to fit various pole sizes. Why Choose Our Base?. We work closely with our overseas partners to insure all of our products are high quality! The unique "teeth" on the bracket system lets you choose from 13 different flag hanging or standing positions for personalized use. Crafted with high-quality aluminum, our flag pole mounts with white powder -coated finish can withstand wind, rain and snow. Furthermore, the flag is rust free so you dont have to worry about getting it changed too often. Forget about the hassle of taking the pole of just to detangle your flag and enjoy the best view of your flag with our no tangle flag pole. LEX Fahnenmast 620 cm inkl. Deutschland- und Bayern-Fahne. Reinigung & Pflege. die getrennt vom unsortierten Siedlungsabfall zu erfassen sind. Das Symbol für die getrennte Erfassung von Elektro- und Elektronikgeräten. Ideal for most 15-25 foot poles. One of the best rated residential solar lights available now! Also, a Decorative Silver colored Ball is included. Fly Your Team Allegiance Show the Neighbors which team your Rooting for with our. 2’x ½” mounting stake and flat washer. Unassembled pole- (Less than 5 minutes to assemble). · Flag poles are made from 3/4” Heavy Duty PVC. It holds mini or garden flags. It is made by Custom Décor, Inc. Printed on Magnet Works exclusive SolarSilk made from 600 denier polyester. SolarSilk is 40% heavier than other commonly used fabrics giving them superior durability. BreezeArt garden flags have a great selection of artwork so you are sure to find the style that suits you and is the perfect addition to any yard or garden. BOLD BEAUTIFUL TALL ADVERTISING SWOOPER BANNER FLAGS. Colors may vary slightly from one printing batch to another. 3ft wide X 11.5ft tall Large Vertical Half Curved Top Flag. Studio M Door Decor is a unique, artful way to decorate your front door! READY TO HANG: Includes ribbon for easy hanging! We only provide products we ourselves would be proud to have in our own yard. This pole is easily assembled, is made of fiberglass, and includes aluminum connectors. 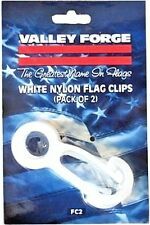 The top section is flexible and includes a plastic ball top to allow it to easily slide through the sleeve of your teardrop, swooper, or feather flag. 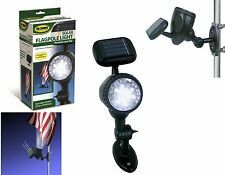 Fly your flag at night with this durable solar flagpole light! Solar LED Flagpole Light. The light is fully adjustable to any angle. Automatically turns on at dusk and off at dawn. Dusk to dawn (y/n) Yes. READY TO HANG: Includes coordinating bow ready to hang on your door. We only provide products we ourselves would be proud to have in our own yard. Height 19 in. Width 16 in. Helpful Info. Outdoor Lawn Spinners & Flags. Bird House Information Hummingbird Information Birdfeeder Information. Birdfeeder Information. Garden Flag Stand. Flags to use with this Flag Stand Flags up to 18” across. Perfect for small garden flags. Dual, Horizontal or Vertical Mounting. NEW FLAG HOLDER. Heavy Duty. two screw mount. Is It a Hassle to Take Down Your Flag When it Gets Dark?. Did You Know that the US Flag Code Suggests that the US Flag Should be Lit at Night?. You may face down or cover the solar panel to make sure its on. 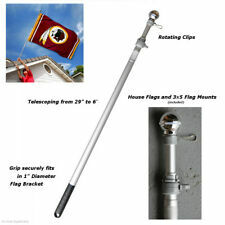 New 1" Heavy Duty PVC Spinner Flag Pole Kit for Your 3x5' Flag. No flag in kit. NEW Chrome Silver Flagstaff Head Spearhead Section Types III and IV 5"